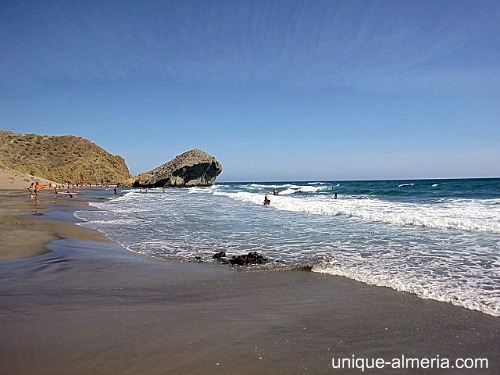 We have explored the Monsul beach over and over again, we have snorkeled, sunbathed, strolled around and YES, it could be the best beach in Spain and it is located in the: Natural Park of Cabo de Gata Níjar. 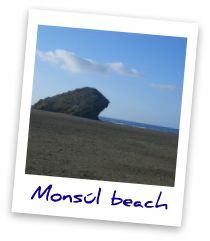 Best Beach in Spain: Playa de Monsúl ? 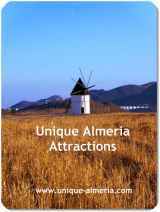 Its 400 meters in length are divided into two parts by a curious tombolo which features beautiful sea erosion. Its magnificent sands are developed on both sides of this fossil prominence and there is a huge mobile dune close to the creek. The water is not very deep and children can enjoy the quality of its crystal clear water, see fishes swimming around their legs. 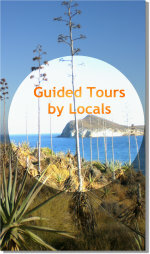 It is an ideal place for seabed lovers. 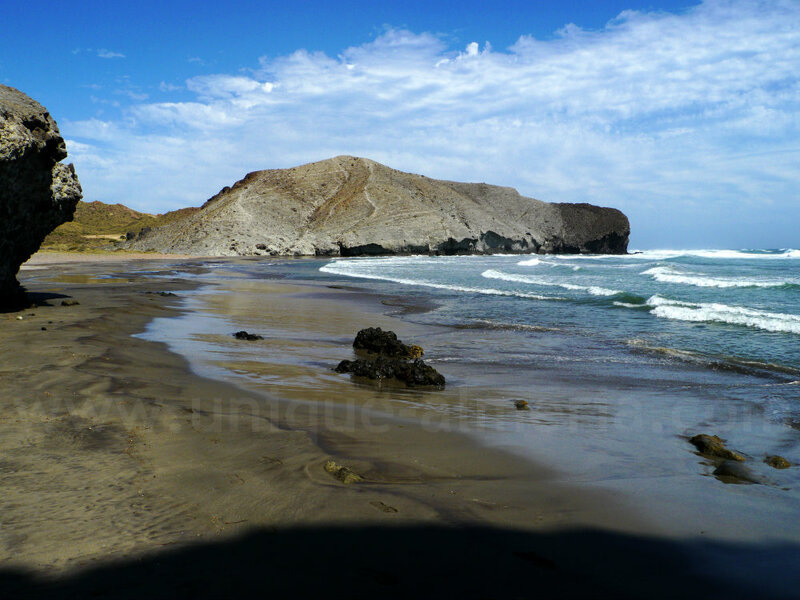 The mountain that reaches the beach, has a rock, ideal for those who like climbing. And its shadow protects from the sun. 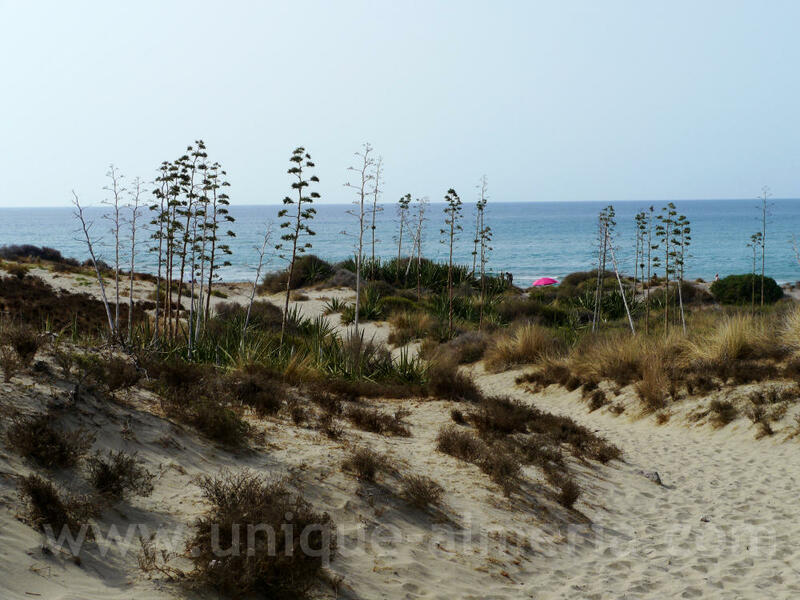 This beach could not be more attractive thanks to the quality of its waters. It's awesome strolling through its banks, recalling that in this unique corner of Almería famous Hollywood directors and actors left their footprints behind. 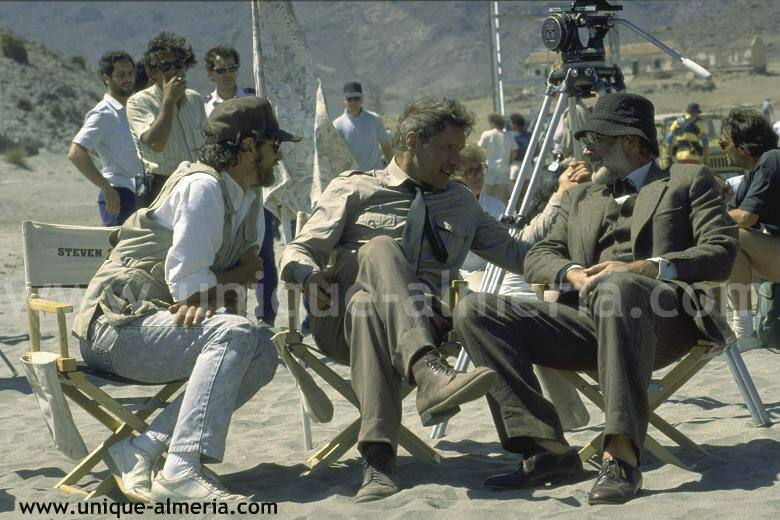 Spielberg and his crew landed in Almeria Province to shoot some footage of the legendary 'Indiana Jones and the Last Crusade'. 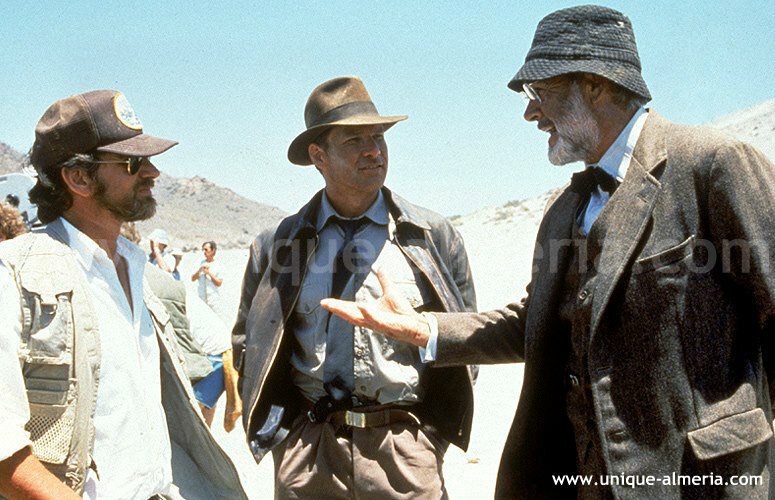 Steven Spielberg, Harrison Ford & Sean Connery during the shooting of some Indiana Jones and the Last Crusade scenes in Almeria, Spain. And here is the footage you might have seen in the movie, which converted this beach into an authentic Hollywood protagonist ever since! 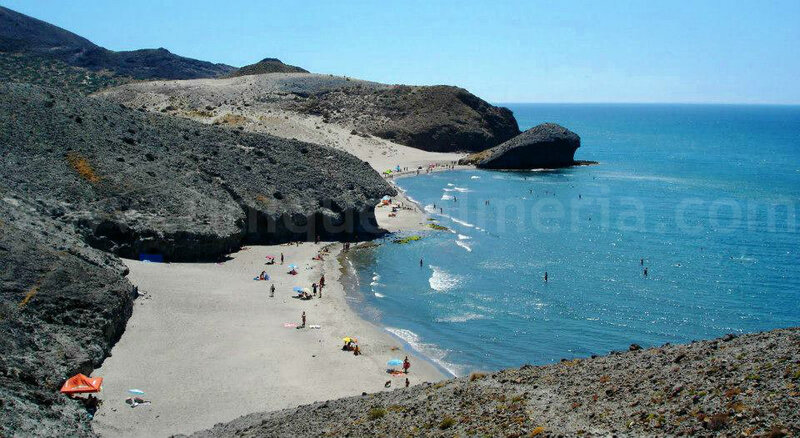 The best beach in Spain? You decide! View from above, in summer it gets lively! 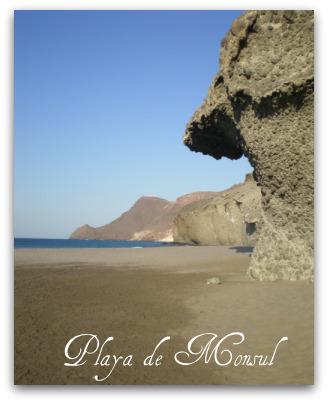 Volcano beach, fine black sand and crystal clear water invite to take a dip.